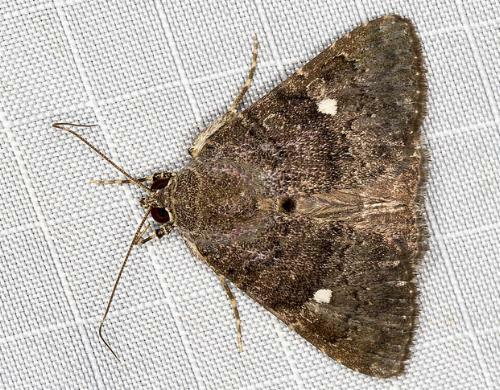 The adult moth has dark brown forewings, each with complex patterns including a white spot near the middle. 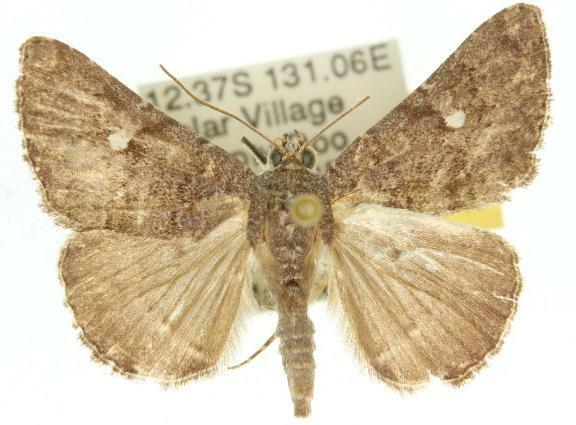 The hindwings are plain brown with a faint pale submarginal line. The wingspan is about 3.5 cms. Tome 1, Part 2 (1793), pp. 34-35, No. 87. Volume 9, Part 5 (1852), pp. 406-407, No. 378a. Part 13 (1858), p. 1050, No. 11. Volume 4 (1860), p. 169, No. 43.